Street style. 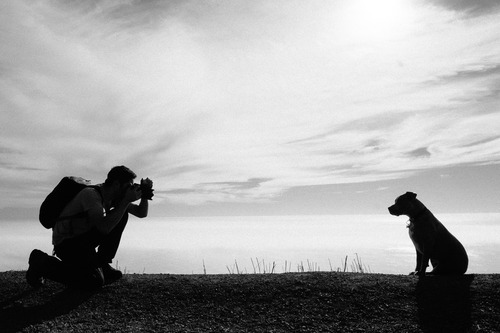 Not just for humans anymore. 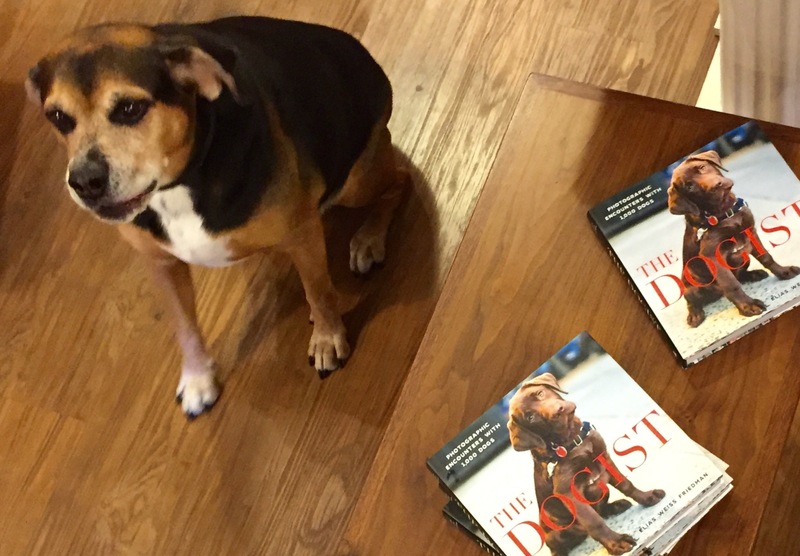 Opie made sure we had plenty of copies in stock for everyone, and we got right to work. 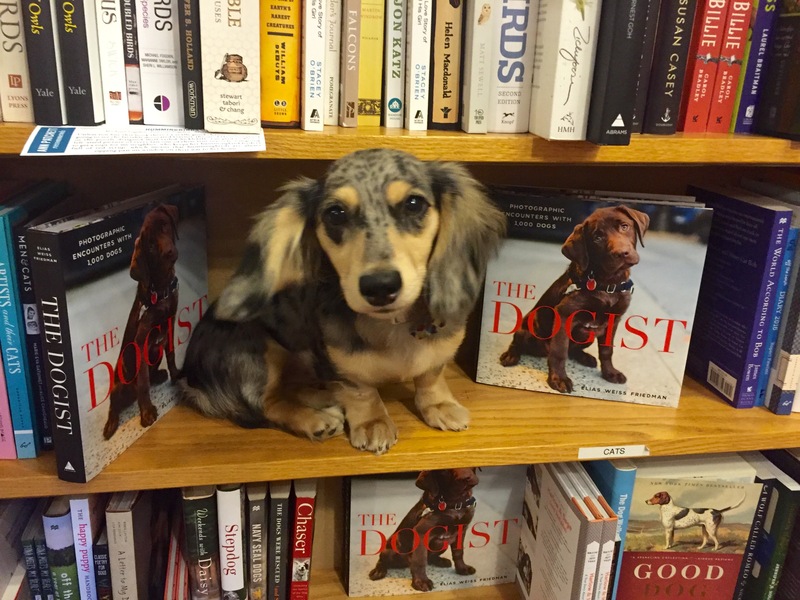 Rules: One book per dog. Please keep the cover on. 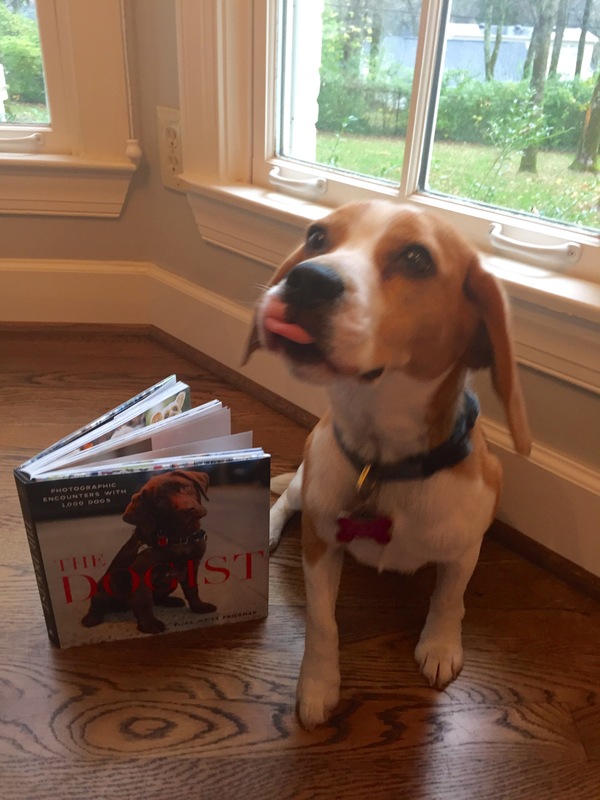 No eating the pages. 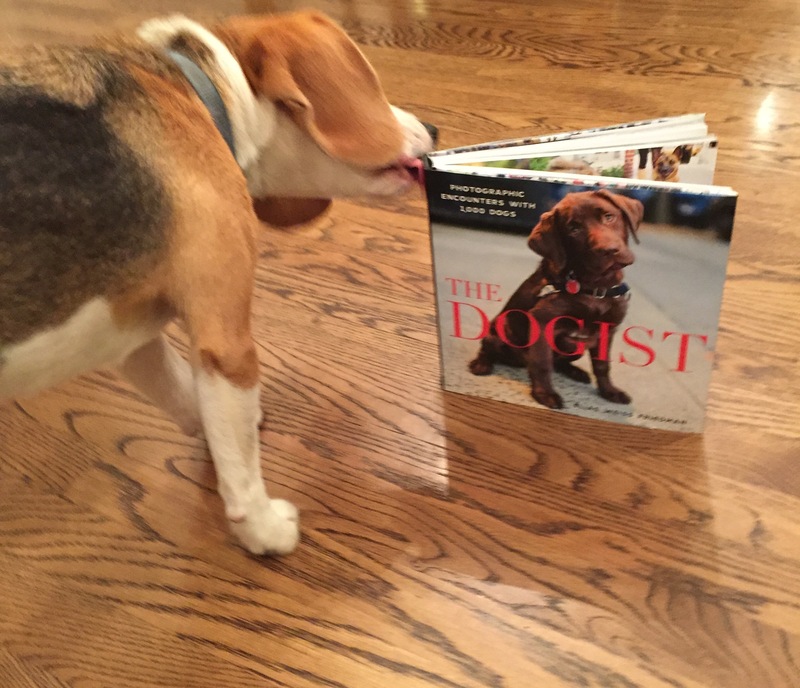 First, Belle evaluated the fragrance of the book. 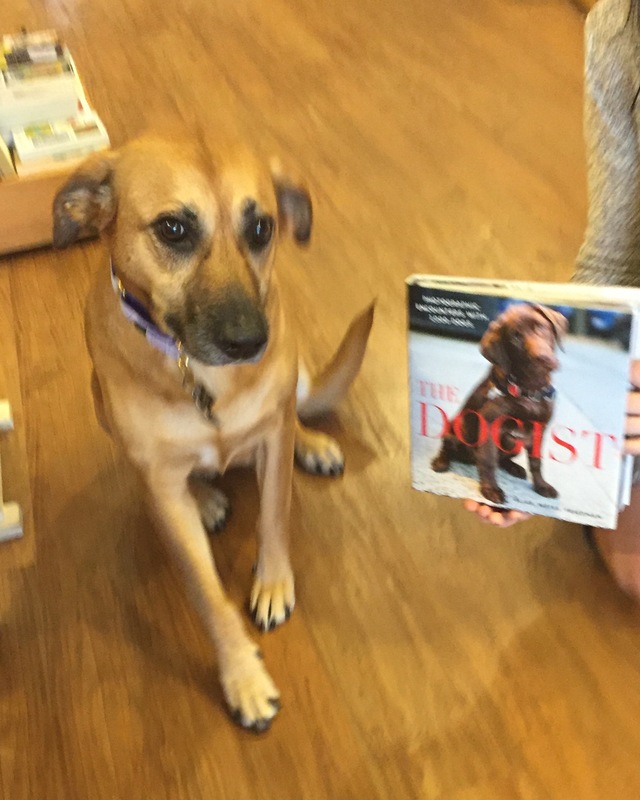 After several sniffs, she declared it smelled fine, if perhaps not as much like dogs as the cover image initially led her to believe. Bonus points for fitting perfectly in Belle’s favorite chair. Then Mary Todd Lincoln looked at the pictures. 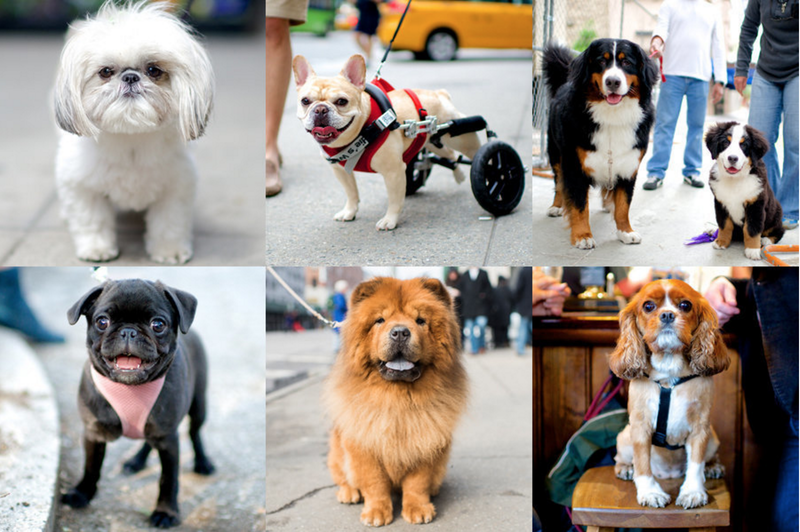 Friedman has captured dogs of all sizes, breeds, and temperaments for the pages of The Dogist. 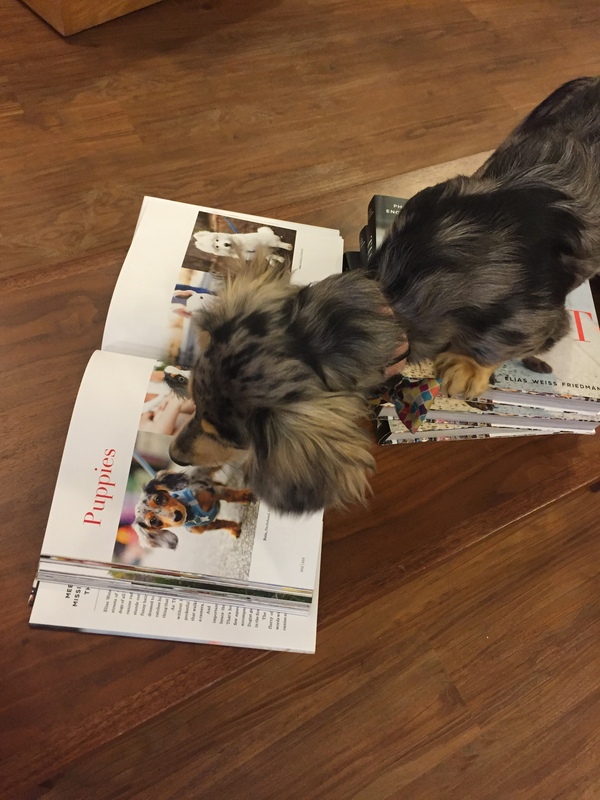 MTL was particularly intrigued with the photo of a dapple-colored Dachshund in the “Puppies” chapter. Eleanor Roosevelt tasted the book once and then three more times, picking up on different flavors each time. She detects a top note of earth, with an oaky finish. 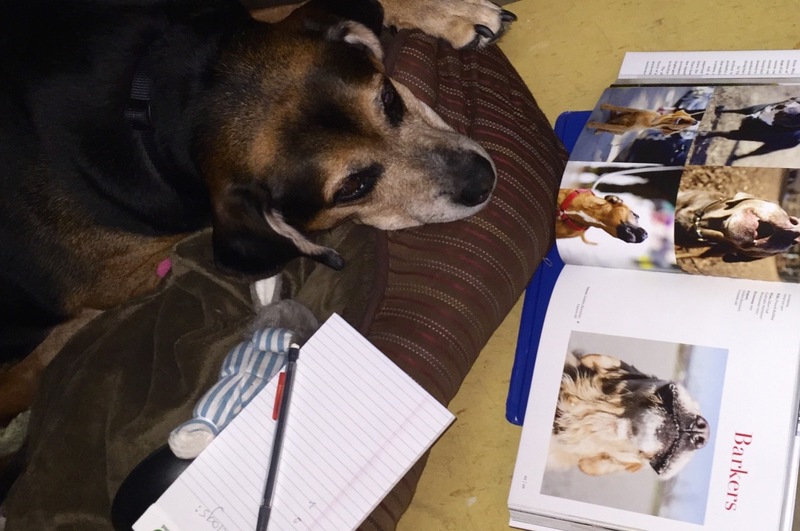 Opie read the words, stopping to concentrate on a chapter called “Barkers,” which he found to be quite authentic. 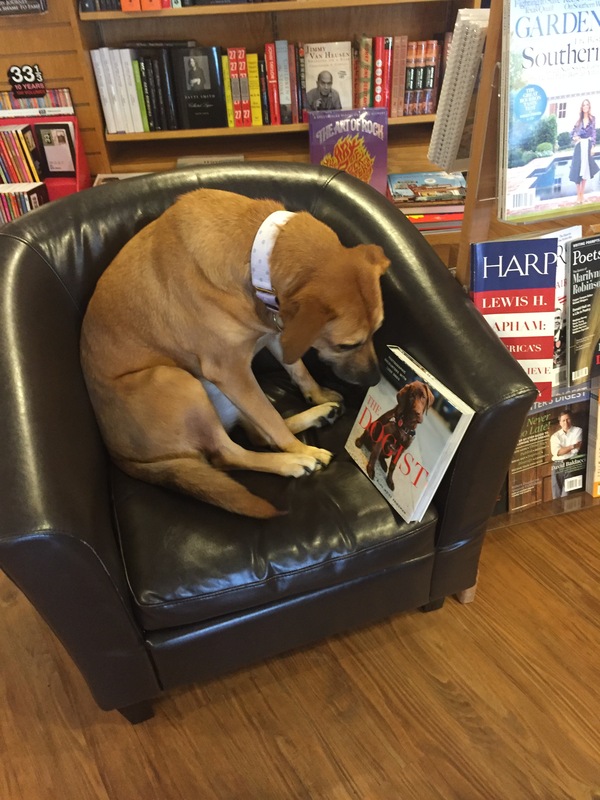 Barking information appears to be solid. Next, some of us did our best imitation of the cover pose. Someone’s not taking this task seriously. Finally, we got together to discuss our impressions and come up with a review. 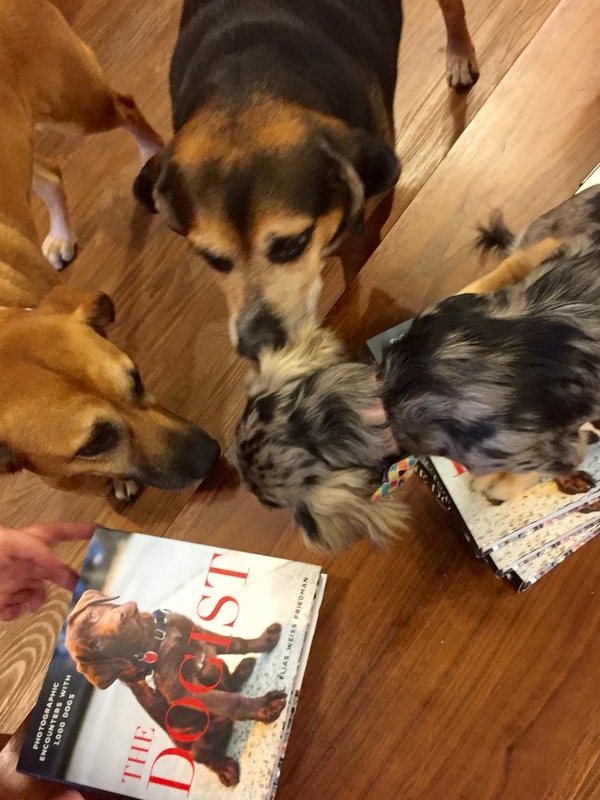 It’s unanimous: We give this book four paws, which is our highest rating. It smells nice and tastes OK, but most importantly, it makes us feel like we’re hanging out on the sidewalk with a bunch of new friends. We love it! Come visit us this Tuesday evening, and we’ll make sure you get a signed copy. The Nashville Humane Association will be in the store for this event to answer your questions about pet adoptions. We will also be collecting items to donate to the Humane Association. You can view their wish list here. Can’t be there in person? Order your signed copy ahead of time, and we’ll have it autographed for you! Just write “SIGNED” in the notes section at checkout.